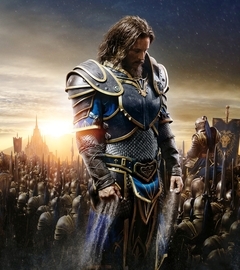 Lothar is a general of the Stormwind army, and an armsman of the Brotherhood of the Horse. He was a childhood friend of King Llane and Medivh, and lead the war party to Karazhan to kill Medivh. He went on to lead the exodus from Stormwind after King Llane was assassinated by Garona, and the keep was destroyed by the Orcs.